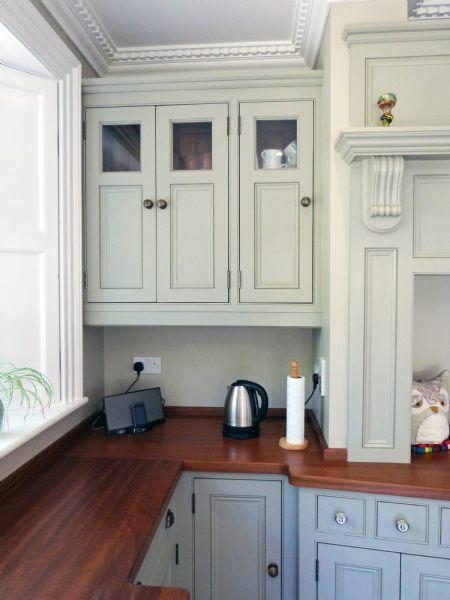 Situated in their open-plan living area, Joanne and Connor wanted a kitchen to reflect their unique take on a heritage design. 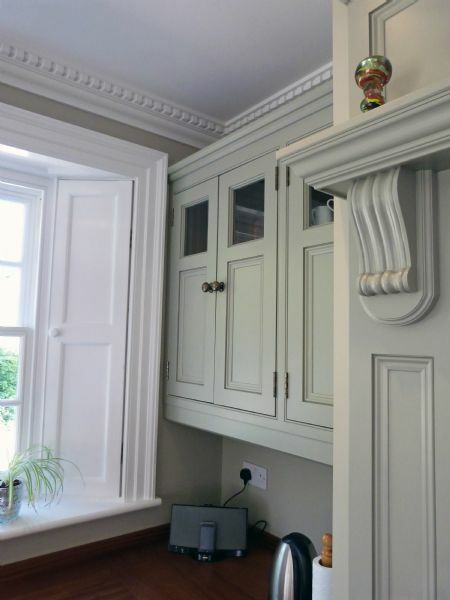 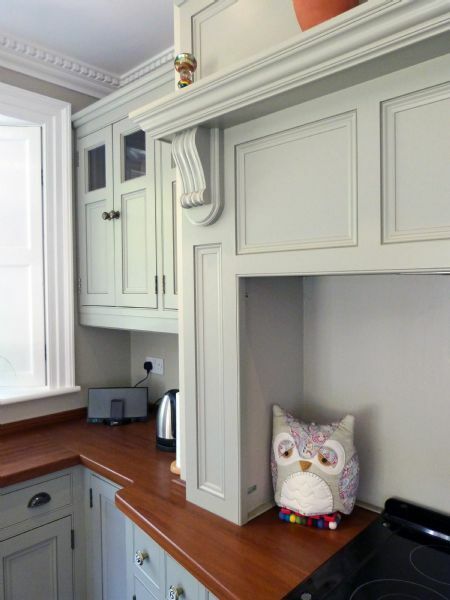 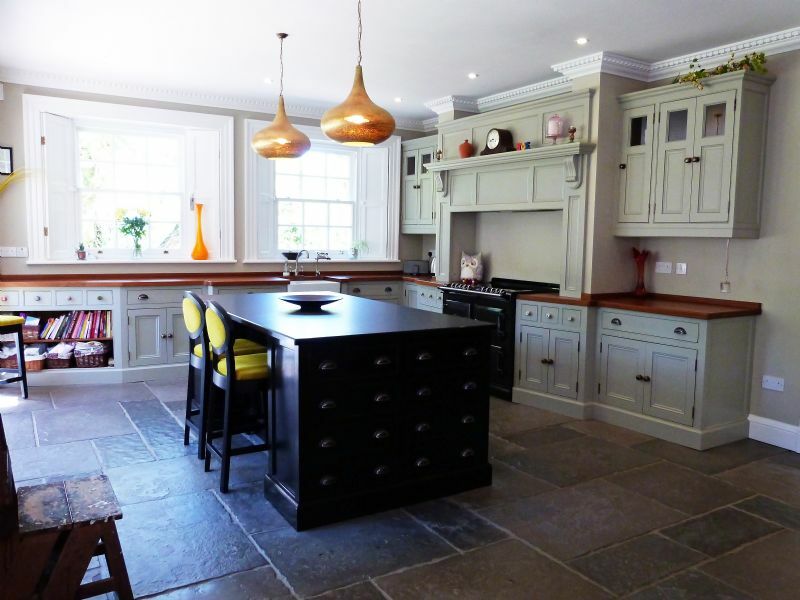 Like the rest of the house, the kitchen was well thought out and meticulously researched so when Joanne and Connor came to us for their kitchen they were able to work closely with our designer to transform their ideas into a reality and create this truly bespoke room. 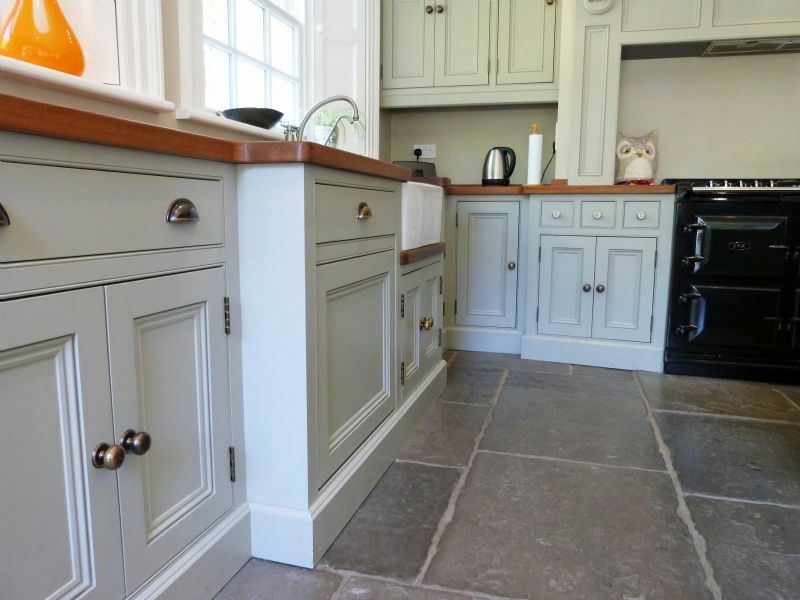 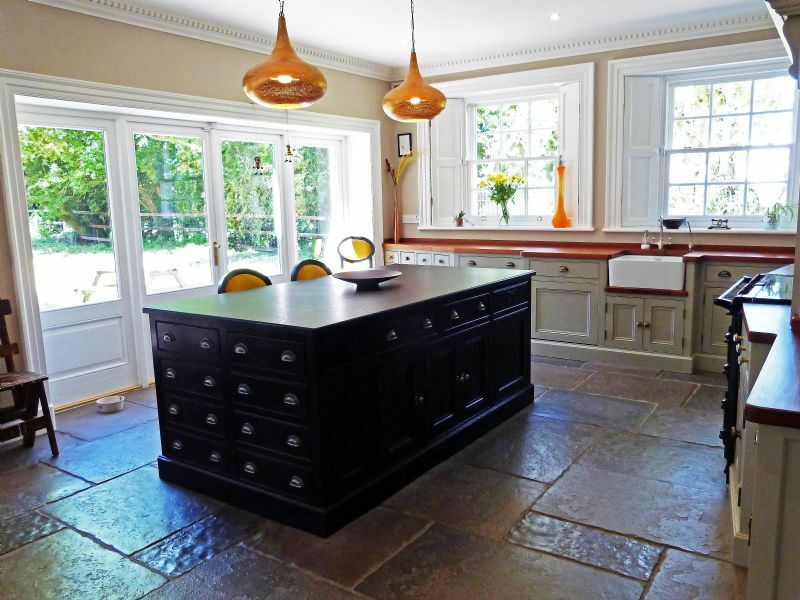 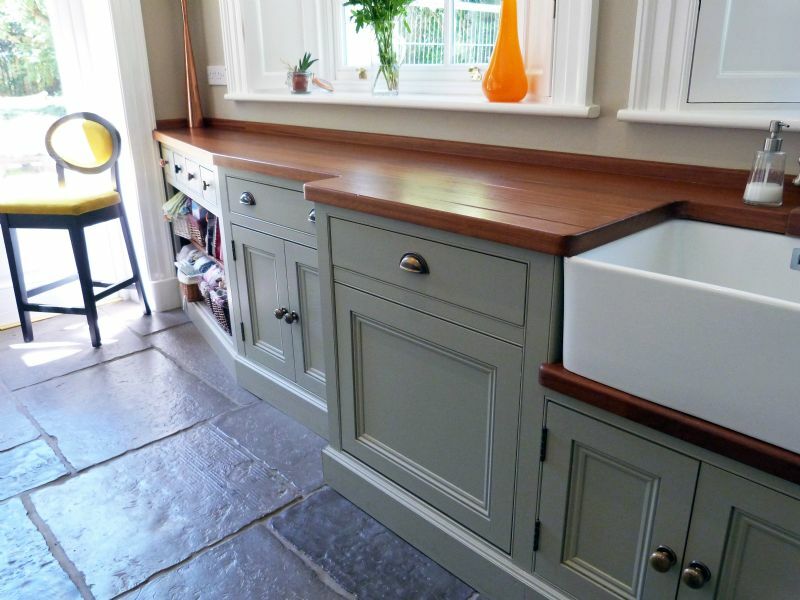 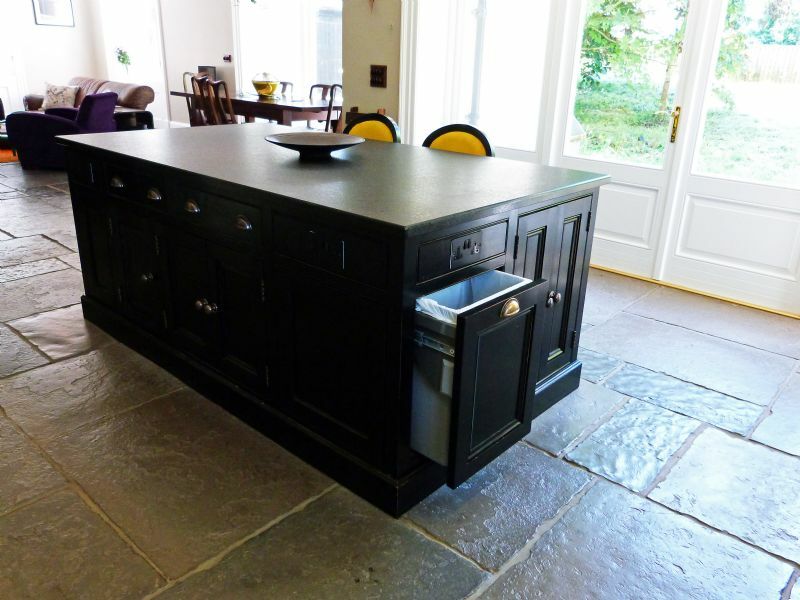 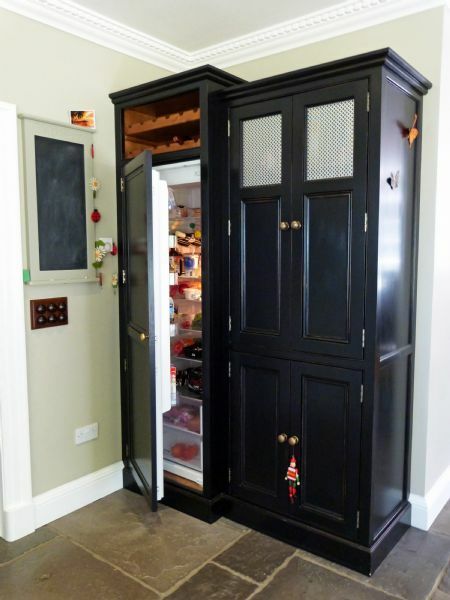 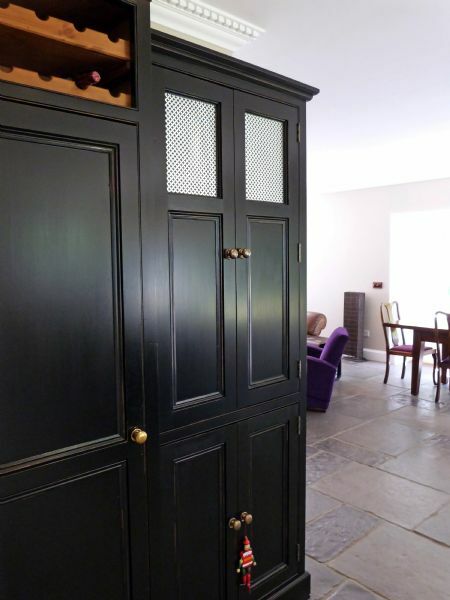 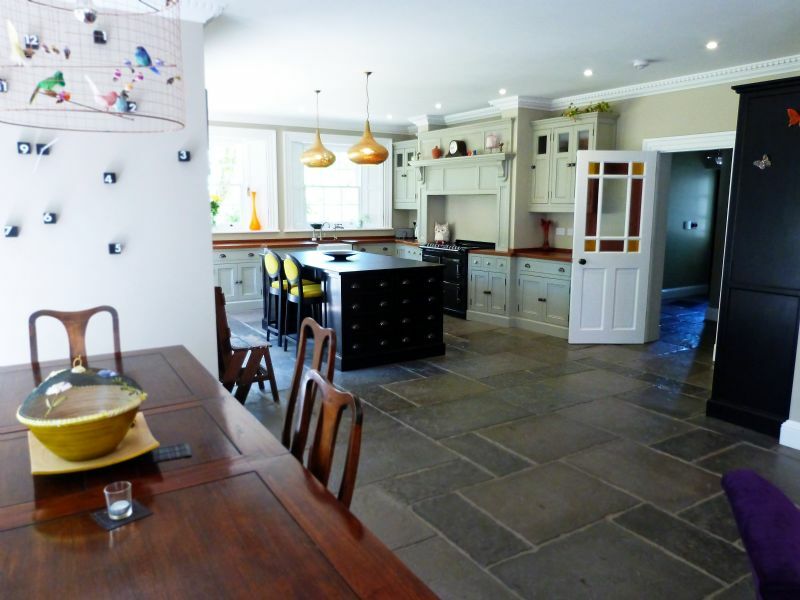 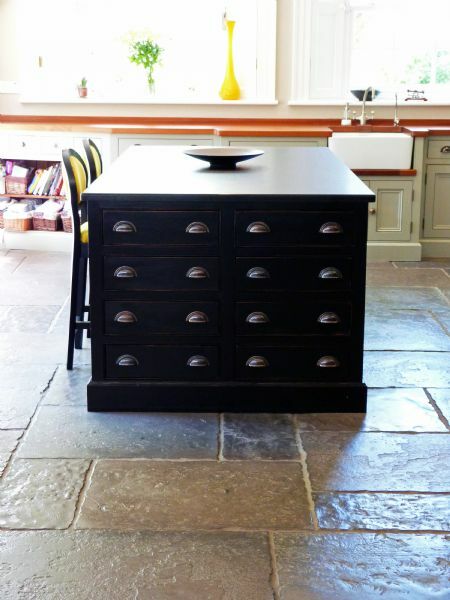 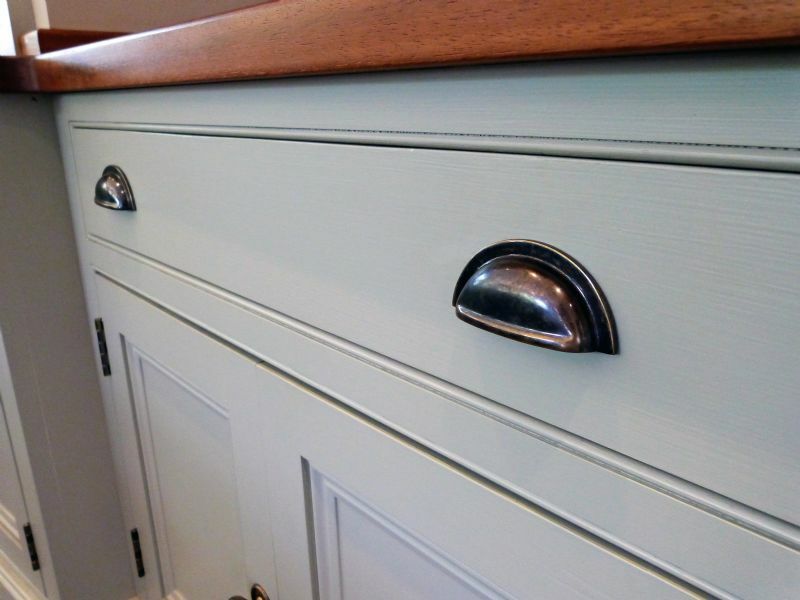 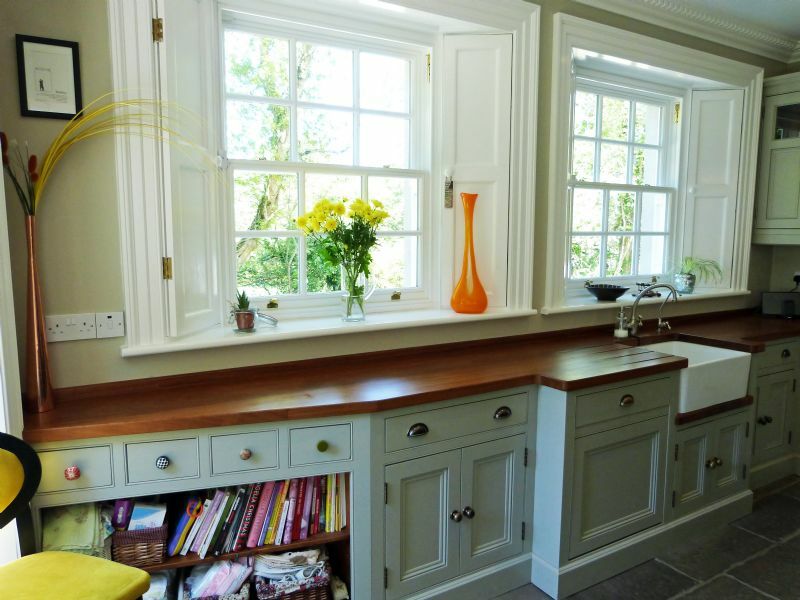 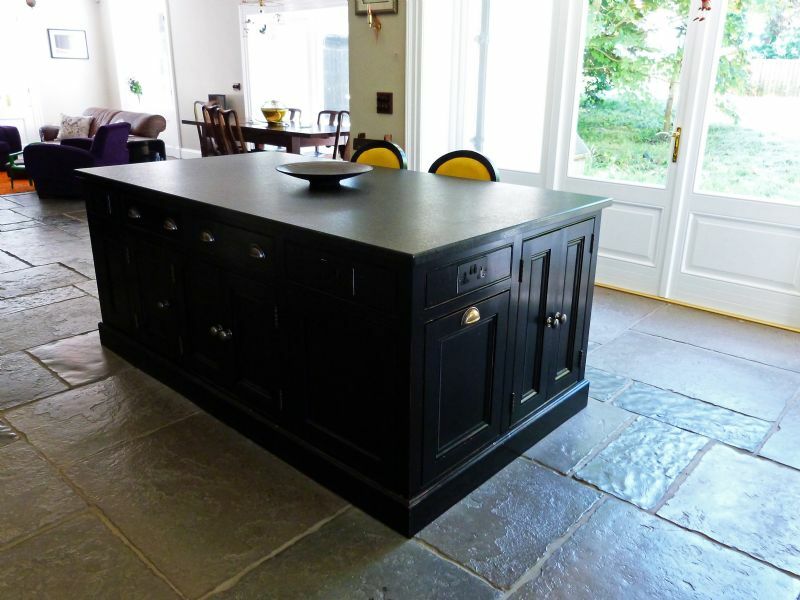 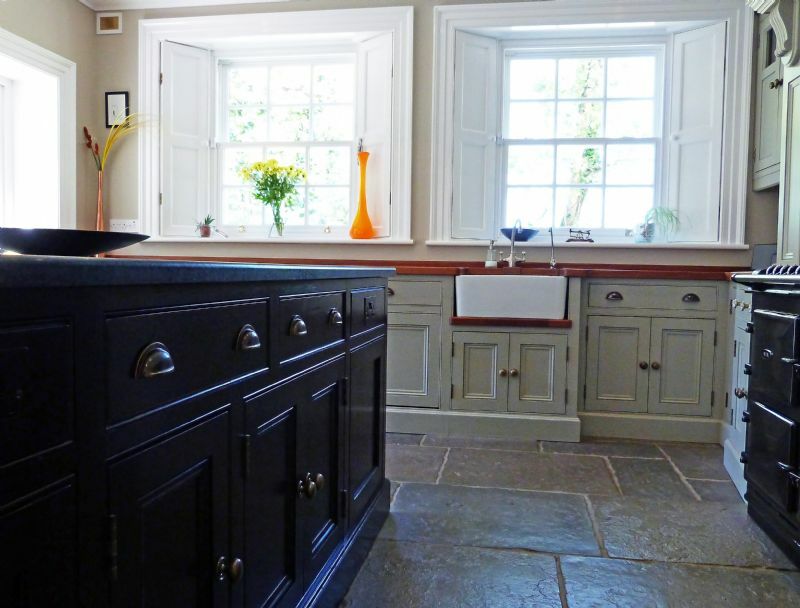 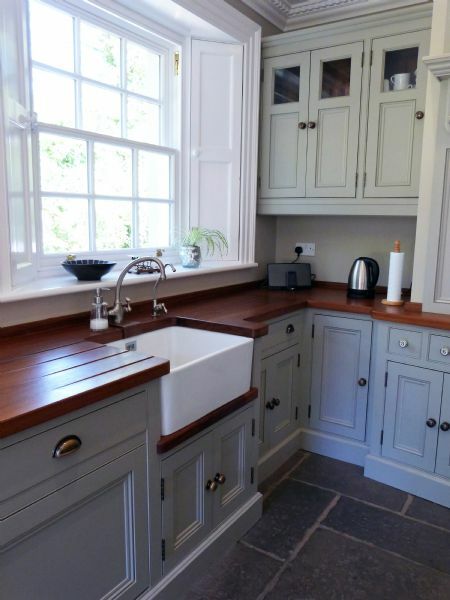 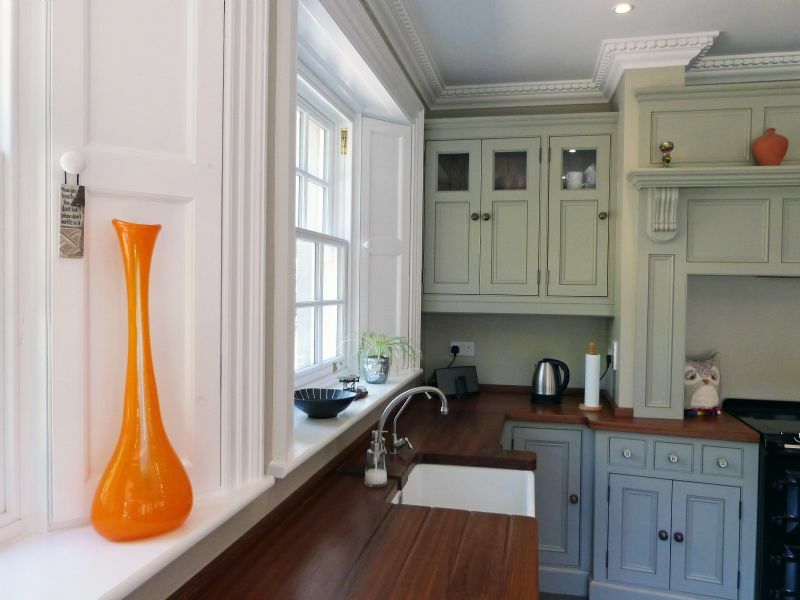 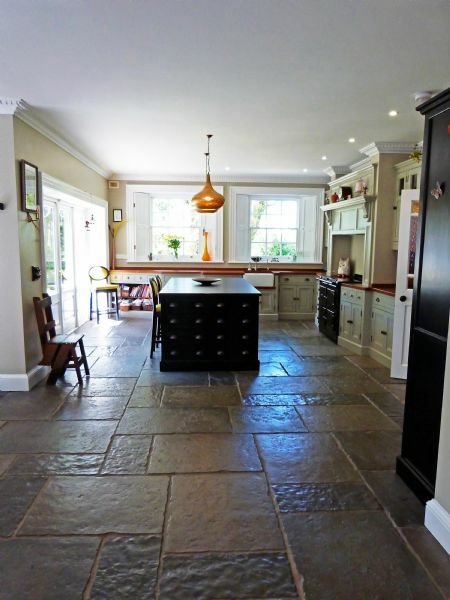 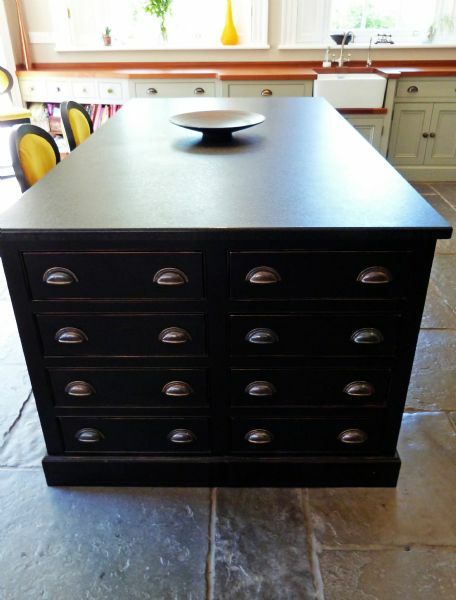 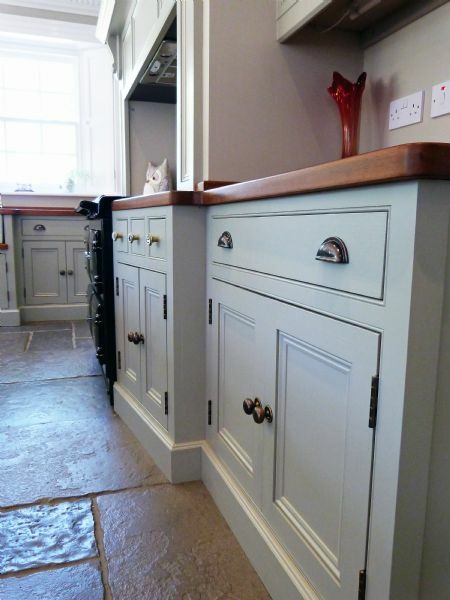 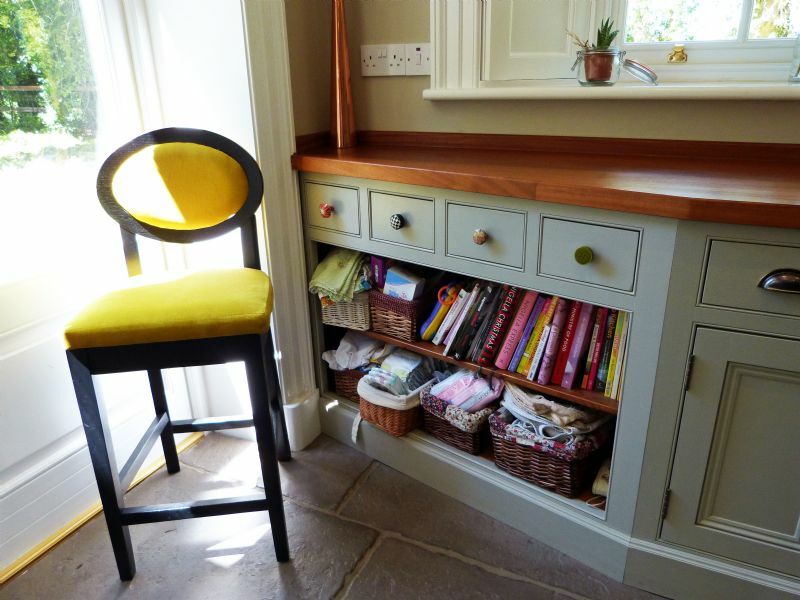 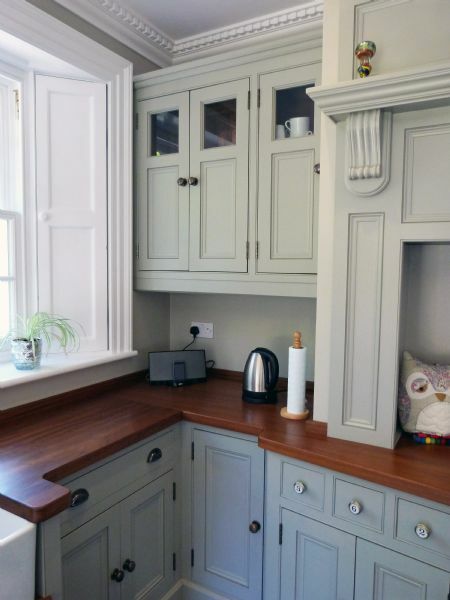 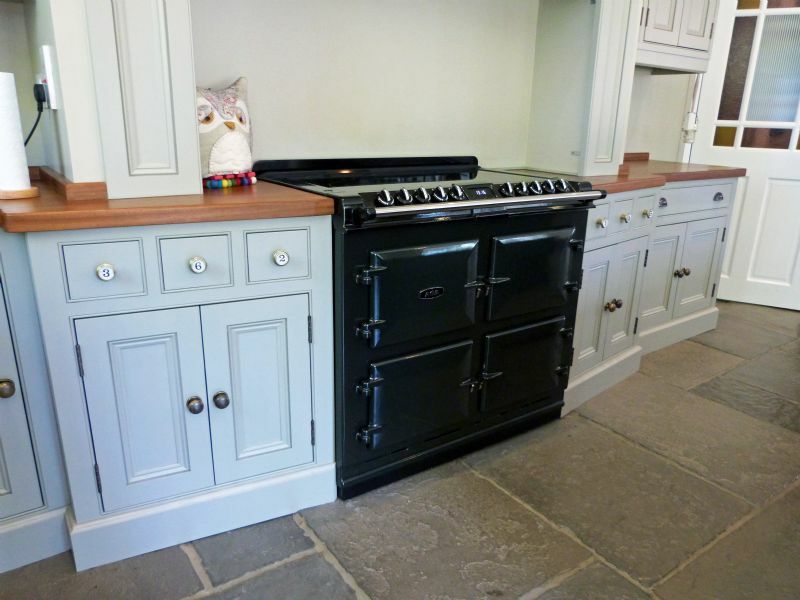 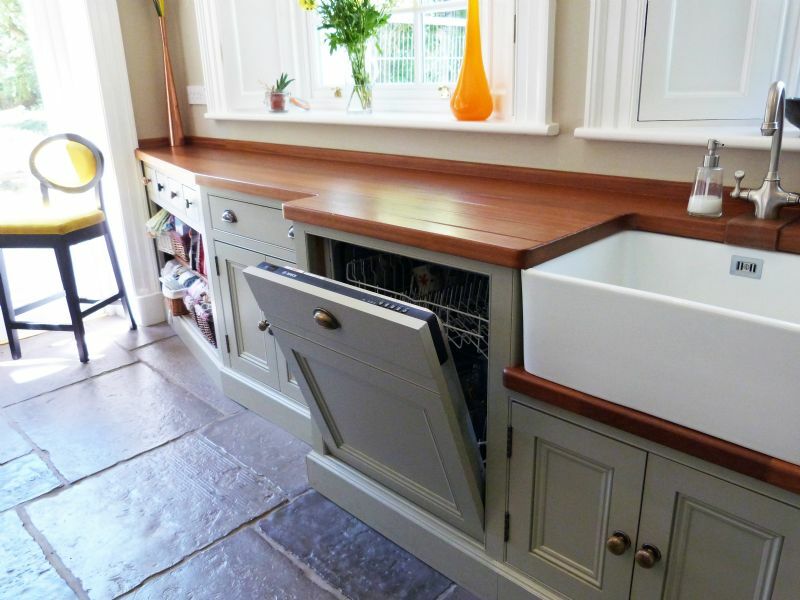 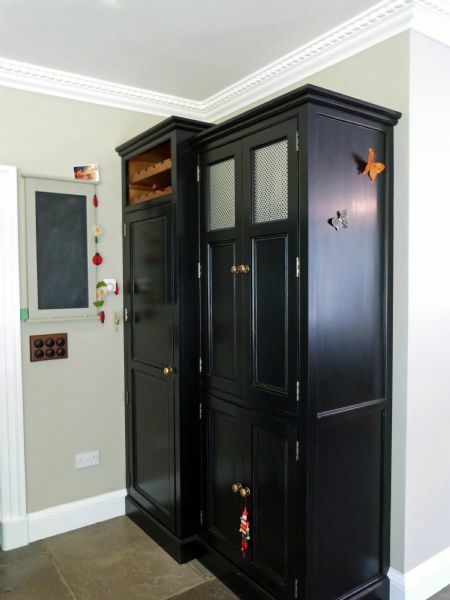 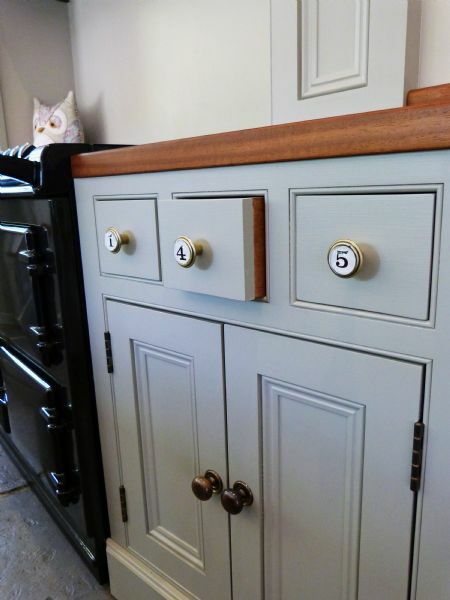 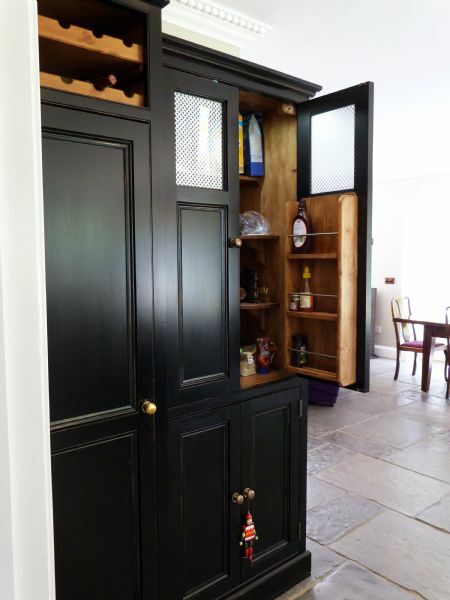 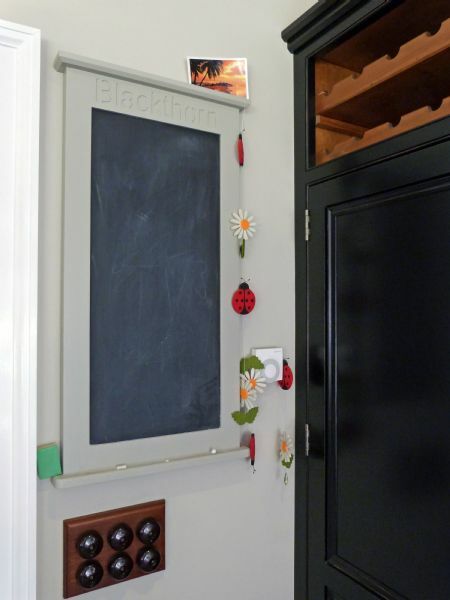 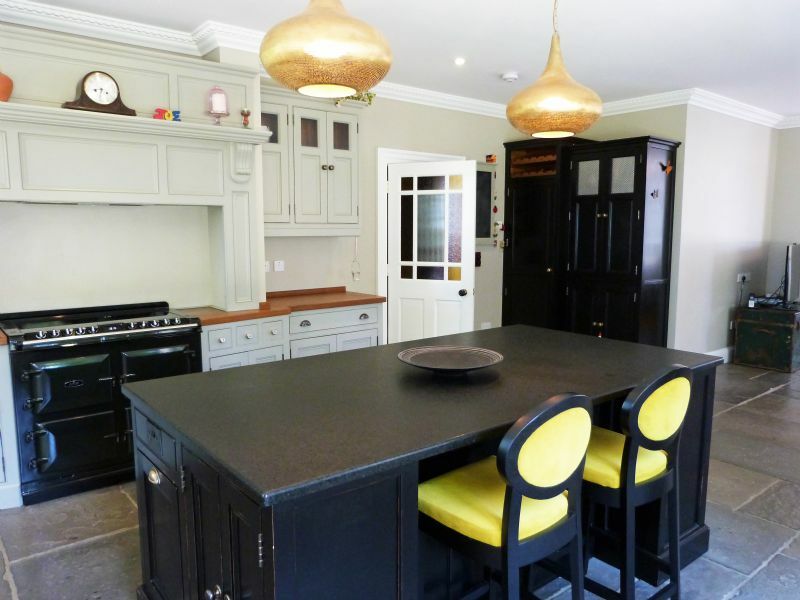 Painted in the timeless tones of Farrow & Ball’s Hardwick White and Pitch Black, with lustrous Iroko plank worktops and leather-finish granite, and combining an eclectic mix of colourful handles and traditional period features, Joanne and Connor’s kitchen is as individual they are. 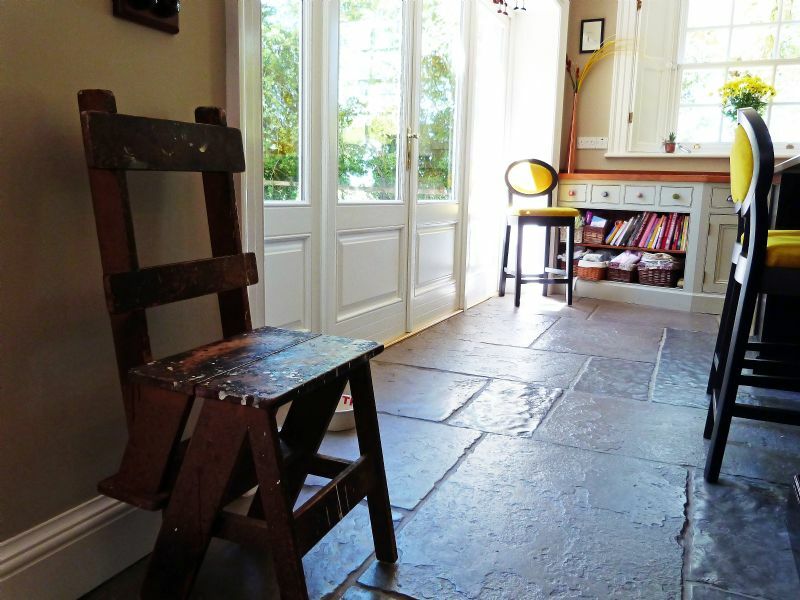 To Dermot and Margaret, Many thanks for all your hard work, much appreciated. 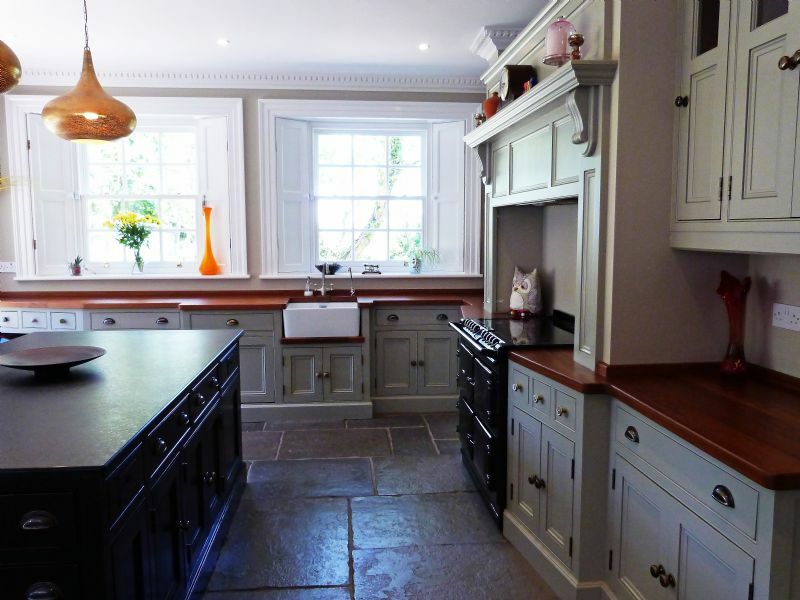 The kitchen is fantastic. 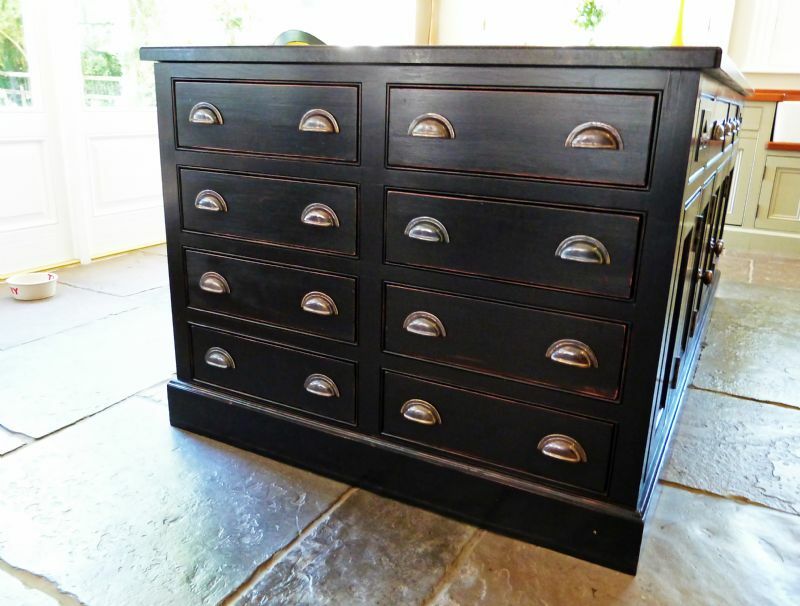 Sorry we took so long to send our thanks but it was probably expected given how long it took us to decide on anything!